Look high in the sky toward the northeast this time of year and you can't miss the Big Dipper. 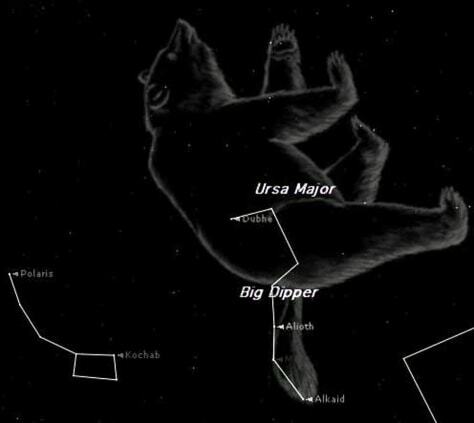 Making out the Big Bear (Ursa Major) could prove a little more challenging. This map shows them at around 8 p.m. from mid-northern latitudes this weekend.